Castlegar National School was delighted to be awarded the Active School Flag this year. 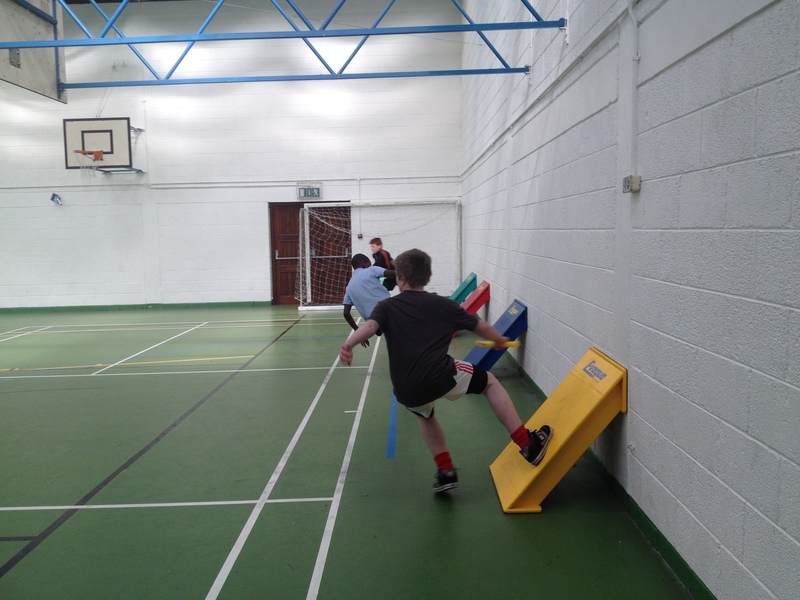 It is a Department of Education and Skills initiative that recognises schools that “strive to achieve a physically educated and physically active school community”. 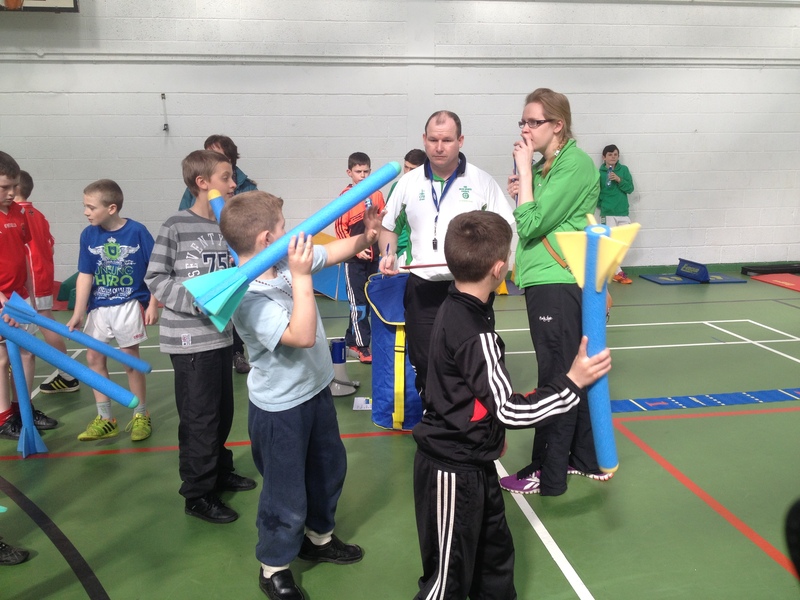 Please take a look at the website www.activeschoolflag.ie to find out more about the Active School Flag programme. 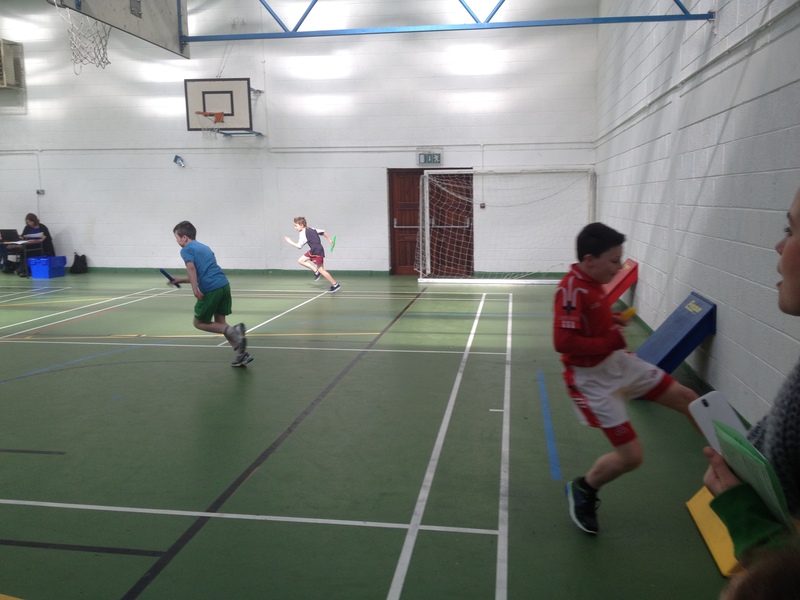 Congratulations to all those in 3rd-6th class who took part in our lunch time Handball League over the past number of week. It was great to see so many boys and girls participating. A big thank you to all those who helped referee games, record results and helped monitor the lines. 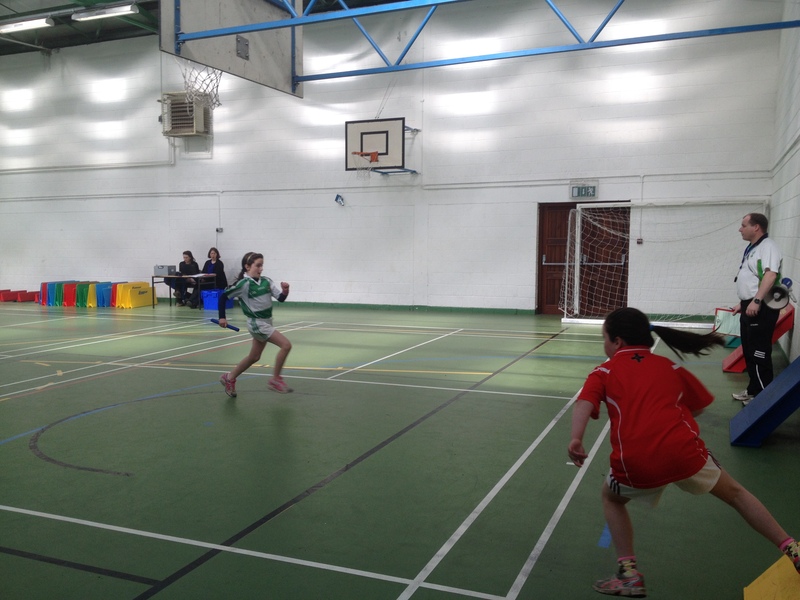 The Cumann na mBunscol Challenger One Handball Competition was played at Annaghdown on March 13th. Well done to all the boys and girls who took part in the competition. 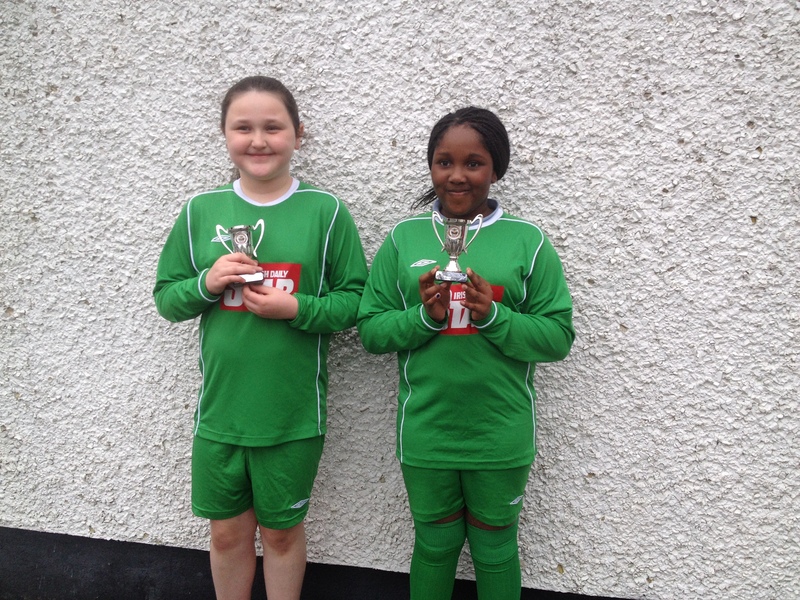 Best of luck to Ella, Aminat and Cillian as they prepare for the County Finals in Salthill on March 29th. Go n-éirí libh. The Irish Sports Council in its first strategy – A New Era for Sport – promoted the notion of Local Sports Partnerships that would promote participation in sport at a local level. The key aims of the LSP are to increase participation in sport, and to ensure that local resources are used to best effect. 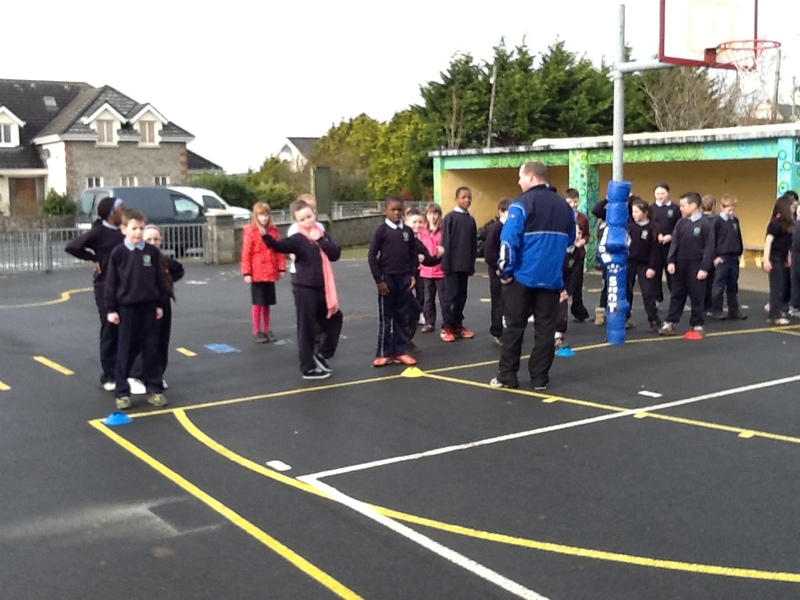 Jason Craughwell is the Local Sports Coordinator for Galway City and had been coming to our school for a number of weeks to do Athletics with 3rd-6th class. We have had great fun with Jason and really enjoy all the activities and challenges Jason organises for us. Click on the image to see some more pictures…. 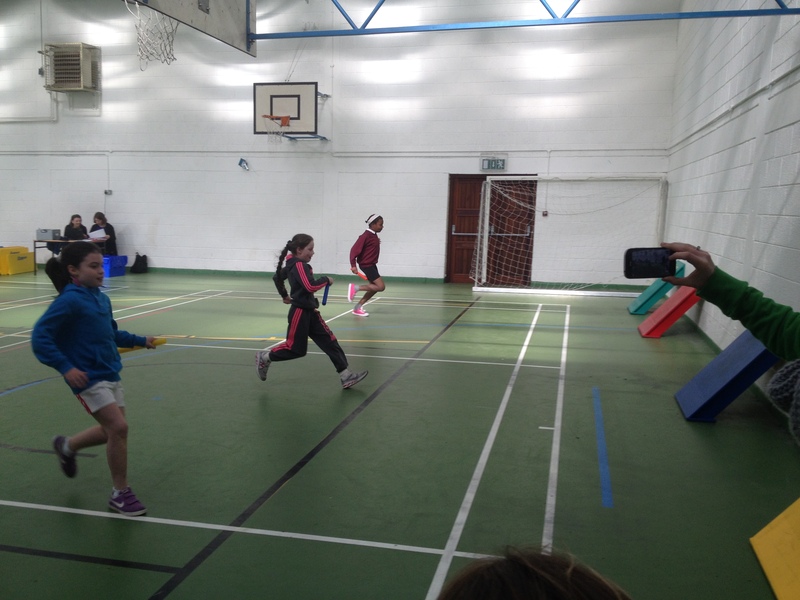 On Thursday March 21st all the boys and girls from 3rd-6th classes took part in the Galway City Sportshall Athletics which was organised by Galway Sports Partnership. Events included relay races, paarlauf, obstacle relay, standing jump, standing triple jump, verticle jump, speed bounce, chest push and soft javlin. It was a great day. Thanks to Jason Carughwell and his team of helpers for organsing the event. The boys from 3rd and 4th class qualified for the All Ireland Finals which will take part in Athlone. 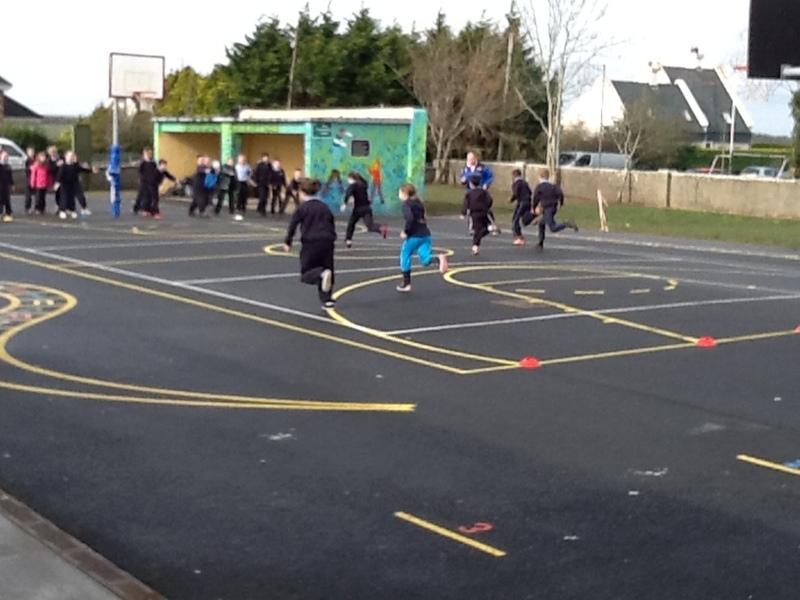 Patsy Durnin, who lives near our school, is giving up his time every week to coach the junior classes in athletics. 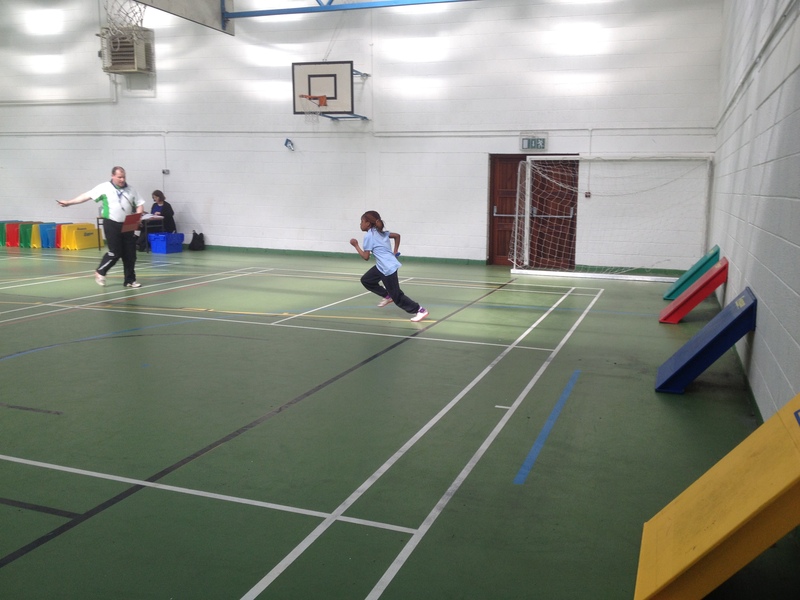 We have been learning how to change the baton in relay races and this week we learned how to do the long jump. We are all having great fun, thank you Patsy. 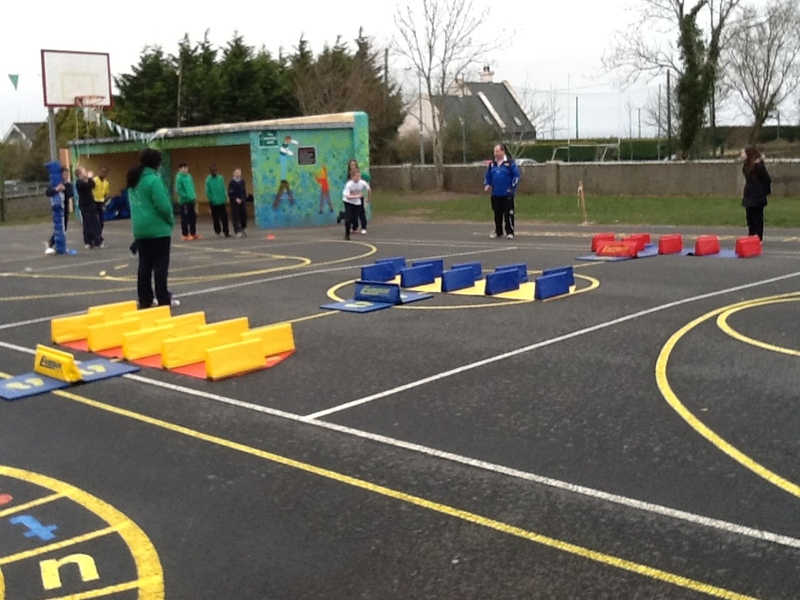 The Active Flag committee decided to run “Funday Friday” activities for junior and senior infants. Every Friday morning at break time the Active Flag committee set up physical activities for the infant classes to enjoy, weather permitting. These activities include skipping, agility exercises using agility ladders, jumping over hurdles, tossing bean bags, hula hooping and many more. The infants love their Funday Friday. The committee had so many requested from 1st and 2nd class to join in that they have now implemented “Terrific Thursday” when 1st and 2nd class will get to participate in the same physical activities. Click on the image to see some more pictures of Funday Friday…. We are very proud of our past pupils and their sporting achievements here at Castlegar National School, their sporting disciplines include rugby, hurling, hockey, camogie and athletics to name but a few. We would like to mention Sinead Glennon, Kathryn Casserly and Stephen Casserly for their athletic achievements and various medals. We are extremely proud of our 2012 Club Camogie Champions Donna Burke, Lorraine Grogan, Karen Murphy, Nicola Murphy, Emma Murphy, Dervla Fahy and Ruth Flaherty, well done girls! Darragh Leader and Tadhg Leader have had great success with Galwegians, Shannon, and Connacht rugby. Deirdre McDermott was an under 21 European hockey champion! 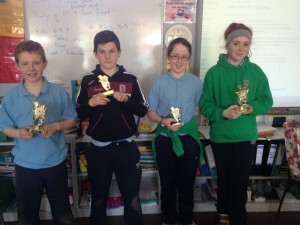 The County Finals of the Community Games Chess took place in the Shearwater Hotel in Ballinasloe on Sunday, May 18th. This was the first year that Castlegar had entered teams in the Community Games chess competitions. The u-12 team finished second overall and the u-13 team finished up in third place. Castlegar School was represented on the u-16 team by Christopher Kelly. Well done to all involved. On Friday last the Castlegar School Hurling set out for Abbeyknockmoy to take part in the Cumann na mBunscol Hurling Competition. We knew we had a tough task ahead, as in our group were Claregalway Educate Together, Newtown, St. Pat’s Tuam and Gardenfield. We were victorious in our first three games. Our final game was against Newton. The pressure was on as they had also won all their games – it was down to the wire, for a place in the county final. We were ahead at half time. Newtown came out strongly in the second half. After a keenly fought contest, the final whistle blew and we were victorious. It was a great team effort. We are training hard and looking forward to the county final on June 10th. Cashel abú ! World Cup Fever has hit Castlegar School. The Active Flag Committee has launched their World Cup Soccer Tournament. All classes from 1st to 6th will take part in the tournament which will be run at lunch time over the coming weeks. Best of luck to everyone involved. The Active Flag Committee have been brushing up on their refereeing skills to ensure that all games go smoothly !! Keep an eye on the PE Notice Board for the latest fixtures and results. 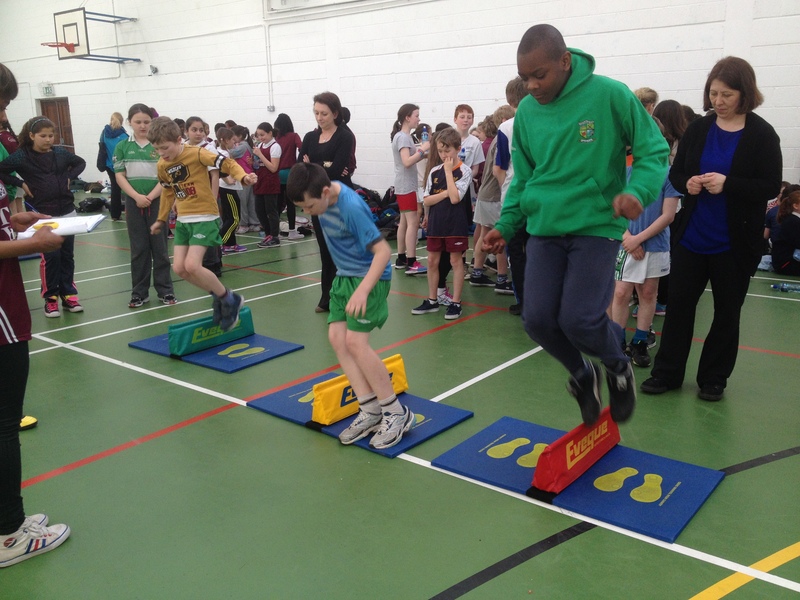 Active Schools week took place in Castlegar School from May 26th – May 29th. It was a week jam-packed with physical activities for everyone ! On Monday everyone in the whole school got a skipping rope and we skipped for a full hour. We sang some skipping rhymes, did a skipping obstacle course and the whole school skipped to the tune of Skippidee Doo Dah. At lunch time we had World Cup soccer action. 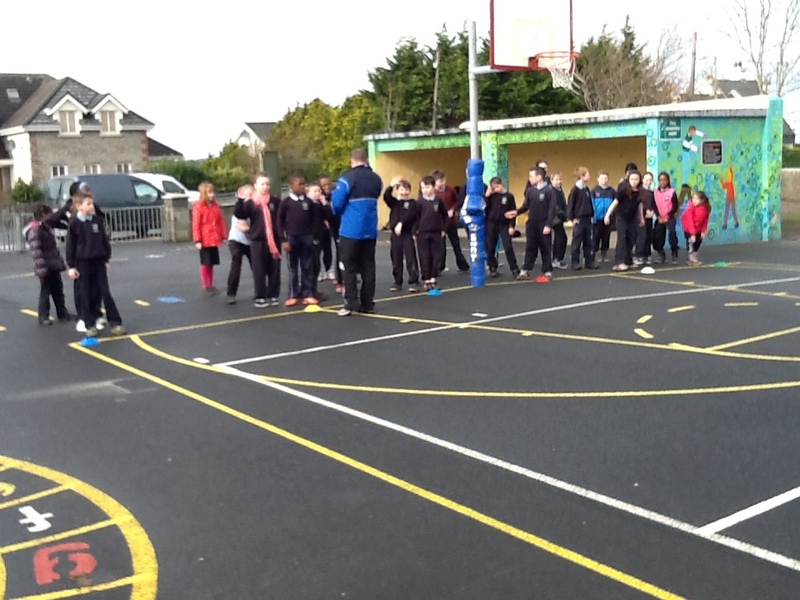 In the afternoon 5th & 6th class commenced our 5k walk. On Tuesday at small break and big break we had music in the classroom. It was good fun, lots of people showed off their dance moves ! Some of the pupils attended Galway County Sports in Dangan Sports Ground. It was a glorious sunny day. We competed in sprints, long distance and relay races. Everyone did really well with Iffy taking home the gold in the boys u-11 sprint. Back as school there were 4 dance classes in action simultaneously, set-dancing, jiving, waltzing and action songs. Everyone got a chance to do all four classes. At big break we had some more world cup soccer action. 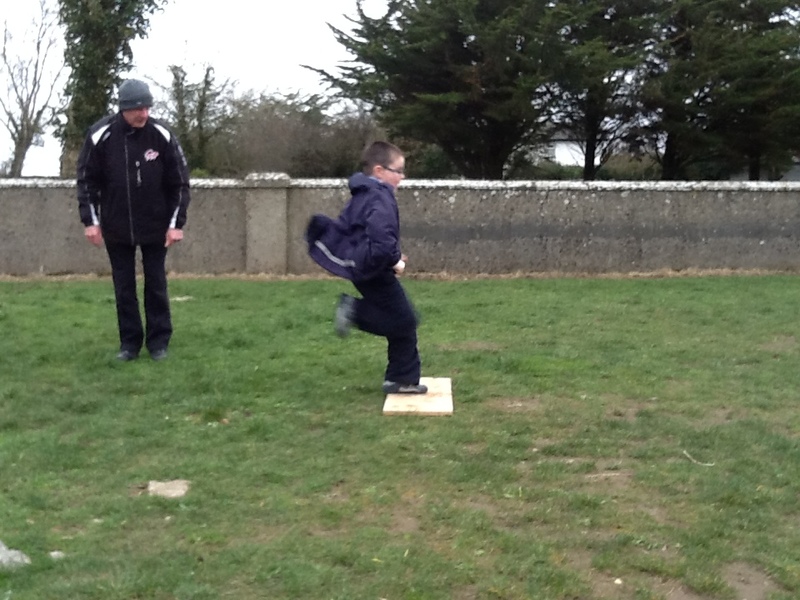 To complete our days activities 3rd and 4th class did their portion of the 5k walk. 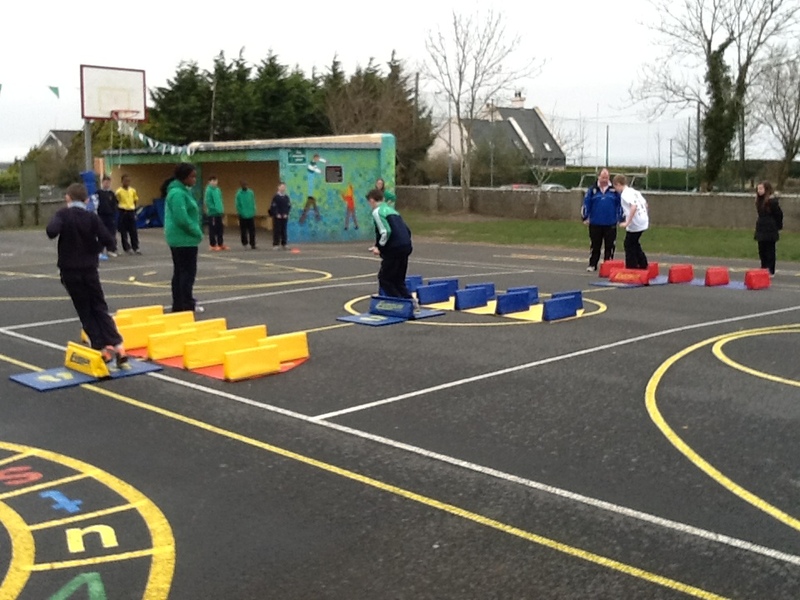 On Wednesday we had four activities going on in the school grounds simultaneously. Busy busy ! 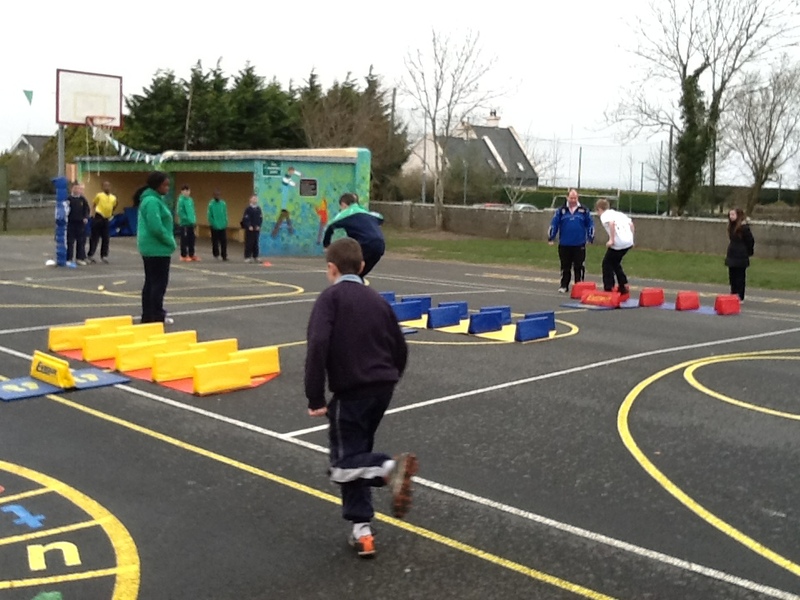 We had tennis, Gaelic football, hurling and playground games. Thanks to Alan from Fr. Griffin Éire Óg, Jonathan from Galway Lawn Tennis Club and Tom Murphy, Castlegar GAA club giving up their time to make it such a fun day for us all. After all that we had music in the yard at break time and more world cup soccer action at break time. I think everyone had a great sleep that night ! 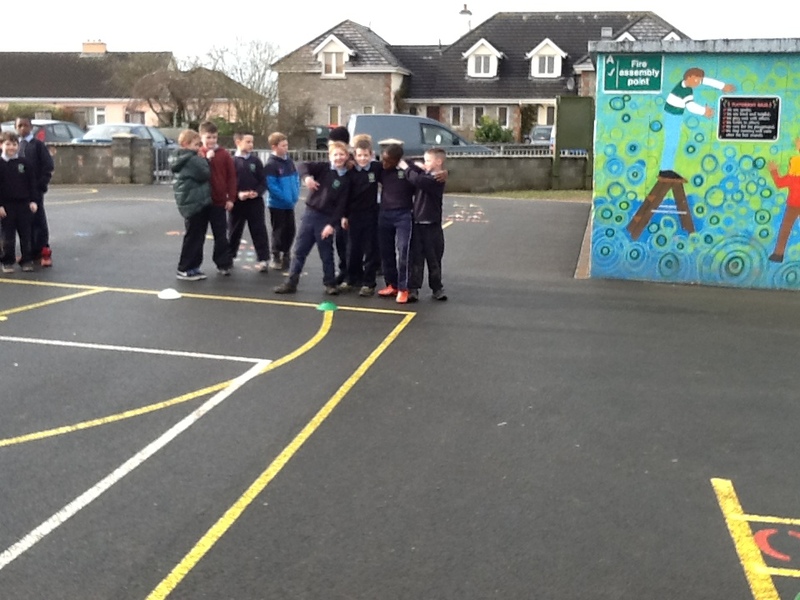 On Thursday we had Terrific Thursday 1st & 2nd class at small break. After break, in teams, we completed a maths trail and a scavenger hunt. Mary Glynn designed the scavenger hunt, and boy was it tricky ! At big break we continued our World Cup soccer action and we played some playground games. Infants, 1st and 2nd completed their laps of the 5K walk. Each day during Active Schools Week we got PE for homework ! It was a great week, full of activities. We were so lucky that the sun shone brightly all week. Comming up next week …….